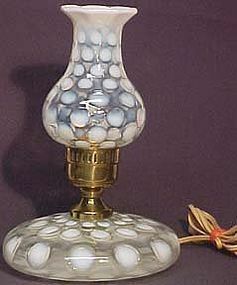 We think that Jefferson Glass made these pancake french opalescent coin dot lamps in the 1930's. 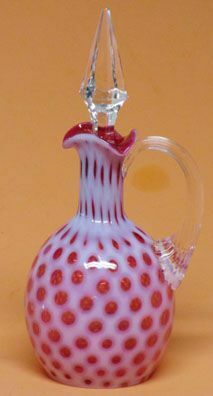 Previously thought they were made by Fenton, but Fenton's chimney is shaped like a pulled tulip -- not the bulbous shape seen here. 2 are available, one has a rim-chip on the bottom of its chimney, hidden when sitting its socket. Otherwise, both in excellent condition. 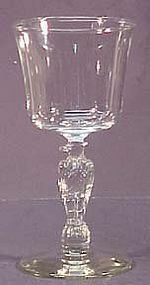 They stand 11" tall and about 8" wide at the base. Original wiring (2-prong plug). 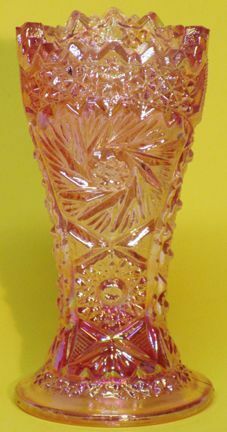 LG Wright Pink 6.5" Vase is a carnivalized and press-cut. In mint condition. 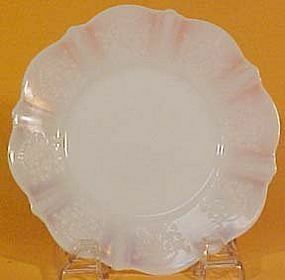 MacBeth-Evans American Pink Sweetheart 6" Bread / Dessert Plate is in excellent condition. 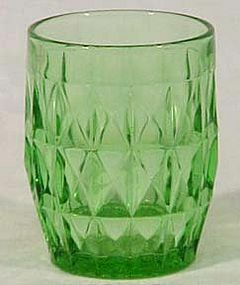 This pattern was made from 1930-36. 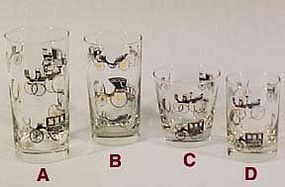 Four are available. 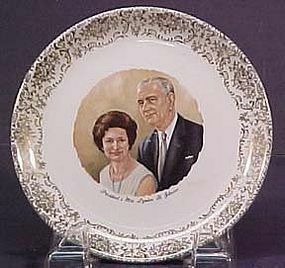 MacBeth-Evans American Monax Sweetheart 10.25" Dinner Plate is in excellent condition. 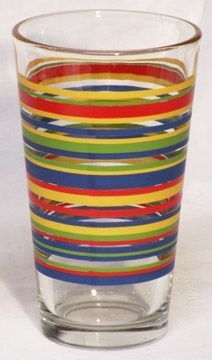 This pattern was made from 1930-36. Two are available. MacBeth-Evans American Sweetheart 12" platter, monax (color), in excellent/mint condition. 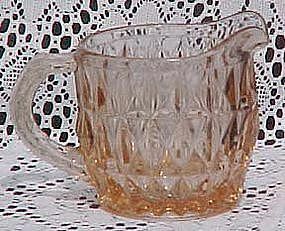 This pattern was made from 1930-36. 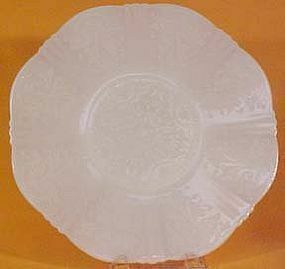 Six plates are available. 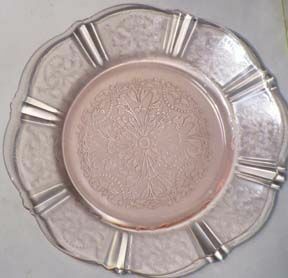 MacBeth-Evans American Sweetheart monax 6.5" Bread & Butter plate is in excellent/mint condition. 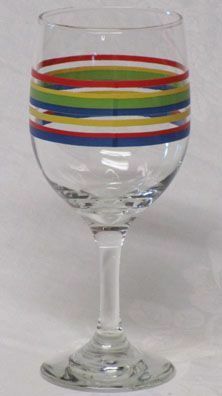 This pattern was made from 1930-36. 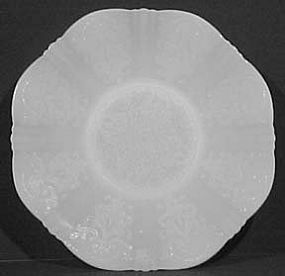 Nine plates are available. 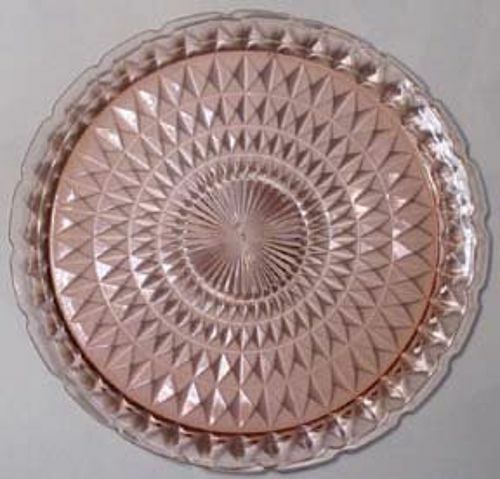 MacBeth-Evans American Sweetheart monax 8" Salad plate is in excellent/mint condition. 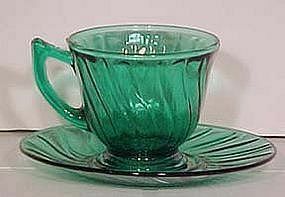 This pattern was made from 1930-36. 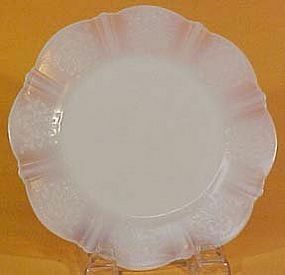 Nine plates are available.